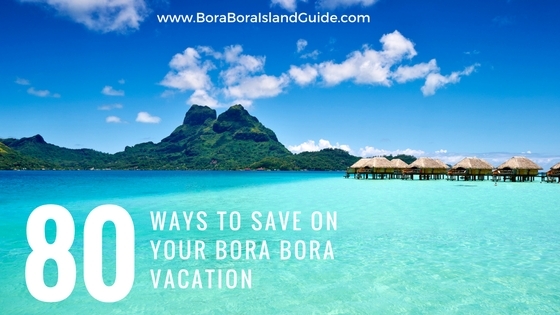 Make your dream vacation a reality with 80 brilliant tips on how to save in Bora Bora. 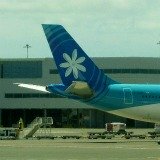 Know the ways to save on flights, resorts, eating, activities, tours, and even by packing the right things to take. It’s possible to save money with every transaction! 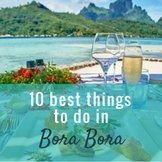 We became experts on how to save on your Bora Bora vacation during our first few trips. Unlike most travel-writers (who take a quick tour of each hotel ) we enjoyed real vacations! We’ve lounged on the exclusive beaches at Bora Bora resorts, lingered in restaurants, adventured around the island, and frolicked in the lagoon on unforgettable excursions. Over the years of escaping to Tahiti we’ve uncovered the essential Bora Bora things to know for all seasons! 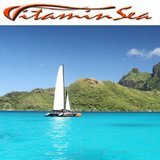 So if you want an outstanding vacation, for the best possible Bora Bora prices, read on. This destination signifies a dream wedding, honeymoon, or bucket-list vacation! You’ll enjoy the occasion even more when you know you’re getting great value. 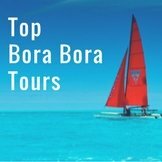 We can show you how to save on your Bora Bora vacation without compromising on the most important aspects of the famous Bora Bora luxury. 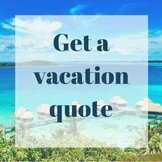 It’s surprising to find that vacation packages to Bora Bora, put together by the right specialist travel-agent, are cheaper than Bora Bora on-line bookings that you can find yourself. 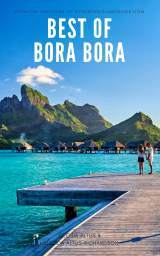 Plus you’ll be delighted to hear that extras (even upgrades, if going off-peak) can be added in when you book with an agent who has a relationship with top Bora Bora resorts. 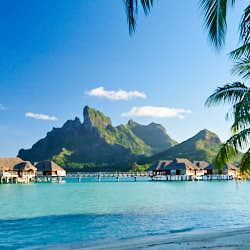 Astute planners know that it’s rare for an all inclusive Bora Bora package to give you the cheapest price. This is a unique destination. Having all resort meals added in will cost more than other eating options that you should find out about. 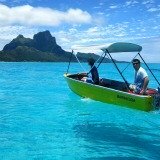 The best vacation packages to Bora Bora include a “must do” lagoon excursion. 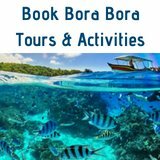 If you yearn for some more fun activities in Bora Bora you can book the best tours here on this site. 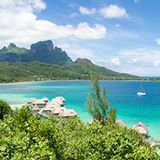 You’ll spend less just by having the right credit card, knowing when to get cash out, and where to go shopping in Tahiti and Bora Bora for beautiful bargains. 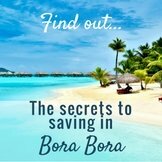 We discuss the above insights, plus 80 more strategies, in over 100 pages focused on how to save in Bora Bora. 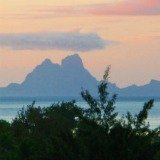 We've been helping people (just like you) plan awesome Bora Bora vacations for over 5 years. After listening to what thousands of visitors are eager to know, we put the most valuable information into a time-saving, easy-to-read e-Book. 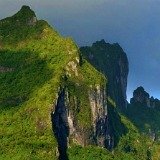 It's a practical shortcut to savvy strategies for how to save on your Bora Bora Vacation and get the most value for dollars spent. 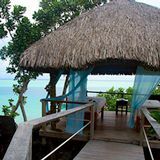 It also shares insights on how to actually make a Bora Bora vacation affordable for those on a budget. Bora Bora is a destination unlike any other! 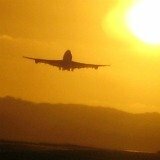 Cut through the mystery by learning from experienced travelers. 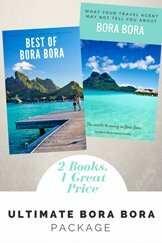 Learn over 80 ways for how to save on your Bora Bora vacation, in this one entertaining book. 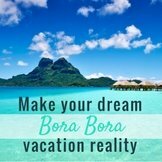 Make your dream Bora Bora vacation a reality! 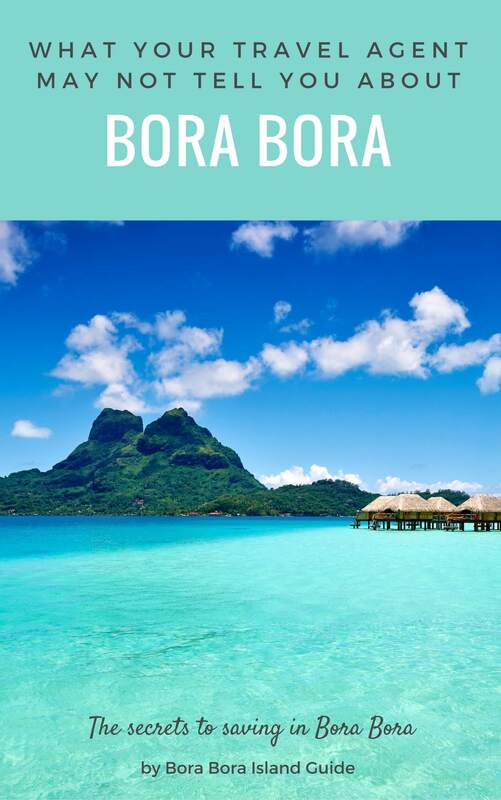 Download how to make your dream Bora Bora vacation reality with over 80 ways to save on your vacation to Paradise for only $9.45. Download link sent instantly to your email. This beautifully bound premium 9x6 paperback of "What your travel agent may NOT tell you about Bora Bora" can arrive at your door for only $16.45 + postage.